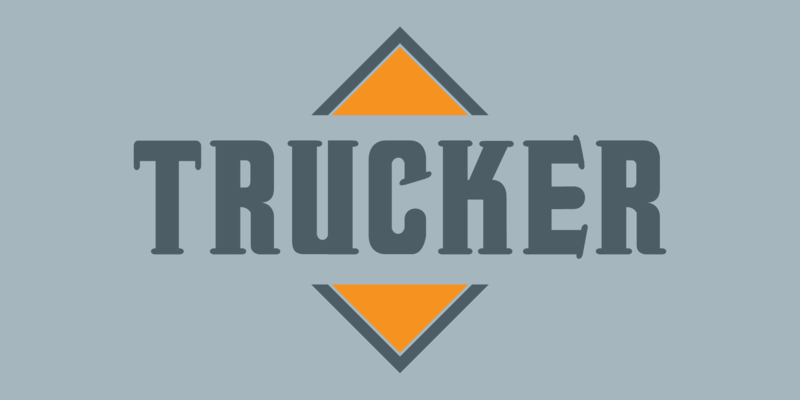 TRUCKER is a remaster of a classic Chank Font, first released in 1996 with the classic dirty name Fornicator. In addition to giving the font the more family-friendly name Trucker, Chank has improved the original character set and souped it up with cool new italics and a brand-new set of small caps. Best of all, if you click the OpenType swash option while you’re working in the Adobe Creative Suite programs, you can add trucker speed racing stripes to the characters. Trucker and Trucker Italic have wide, rounded serifs that give its bold characters extra strength and flair. This font has a tough, vintage style that makes it a powerful and reliable performer for the long haul.